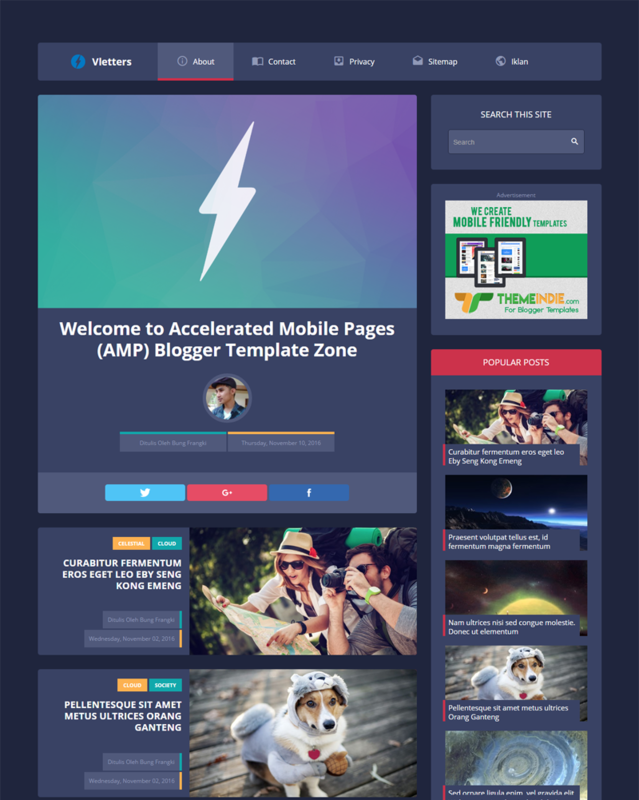 VlettersAMP is a Accelerated Mobile Pages (AMP) for Blogger Template. It's a simple design, just few seconds to load and get everything running. It's just share for free. This temlate configurated and improved to be super SEO friendly, and so mobile-friendly too. VlettersAMP is responsive design, up to 230px of devices.